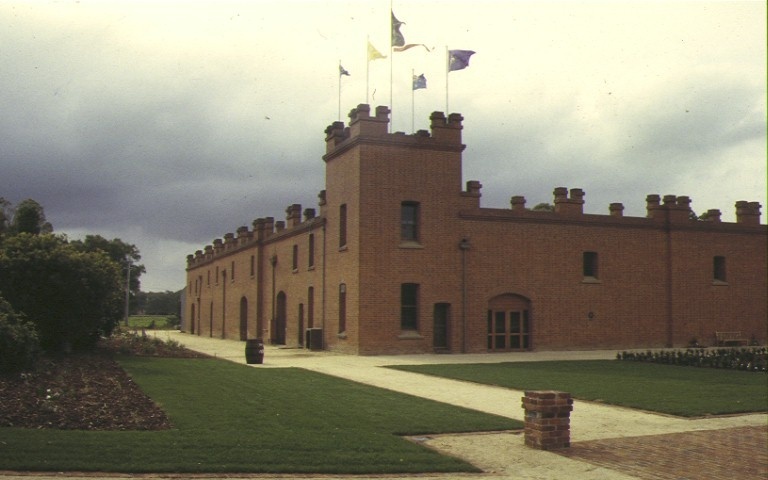 The All Saints Winery was established by GS Smith and J Banks in 1864 and is owned and operated by Smith's descendants. The present winery was erected c.1880. It comprises an extensive above ground series of cellars accommodating rows of giant timber vats and is encircled by castellated brick walls with a square corner tower. A spirit stove was added in the mid 1890s. There are several outbuildings and an extensive collection of old winemaking equipment. 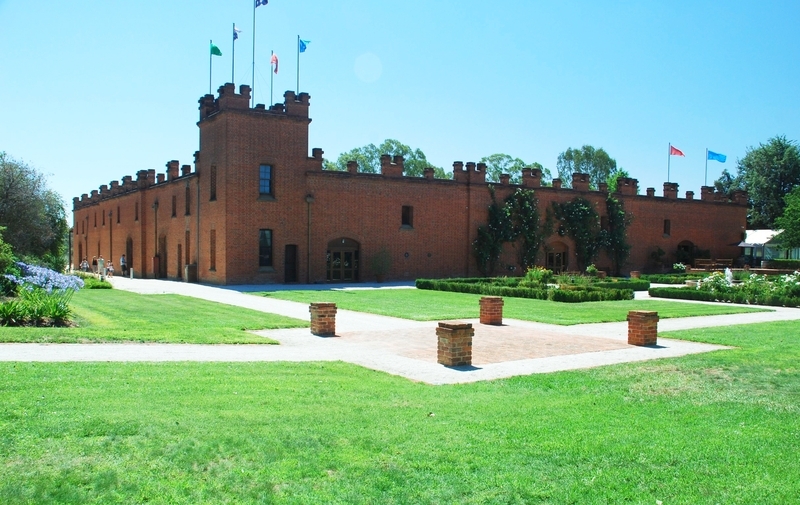 This is one of Victoria’s oldest wineries and is perhaps the largest oak wine storage in Australia. It has been in the Smith family since it was established in 1864. The present wine structure is unique and presents an unusual monumental quality. The uninterrupted brick walls with simple openings and castellated detailing are distinctive features. The giant timber vats and collection of old winemaking equipment is notable. The winery is picturesquely situated at the end of an avenue of elms. The buildings still serve their original purpose and there have been only minor alterations to their overall original appearance. Shire of Rutherglen. No.333.All Saints Winery, All Saints Road, Wahgunyah.